﻿ Juventus 2-1 AC Milan. Kean steals the show with the winner! 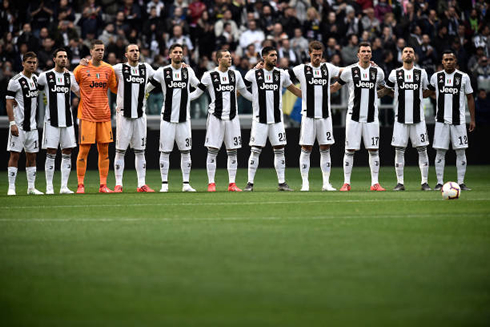 06.04.2019 » Juventus 2-1 AC Milan. Kean steals the show with the winner! It doesn't look like we'll have to wait much longer for Juventus to wrap up this season's Serie A title. 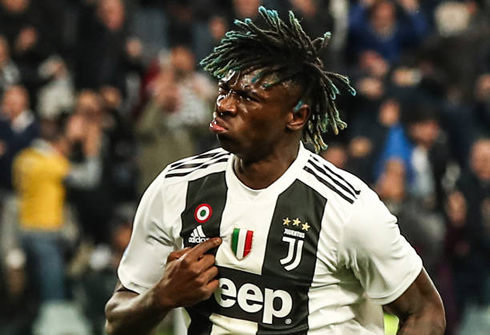 The Italian champions hosted and defeated AC Milan 2-1 at home, thanks to another goal from the man of the moment, Moise Kean. A new star has risen in the Serie A and his name is Moise Kean. The 19-year old scored in his 5th consecutive game this season and this time it allowed Juventus to untie the game against AC Milan and secure a 2-1 win for his team. The Bianconeri had again a lot of absents ahead of this very difficult game, but just like it happened in many occasions before this season, they found a way to beat their opponent and collect the 3 points. With this Saturday's win, Juventus can even start the celebrations of the Italian title tomorrow, but for that to happen they need Napoli to be defeated by Genoa at the San Paolo stadium. Moise Kean is becoming a real phenomenon in Italy. Despite his very young age and very few chances to play in Juventus' first team this season, he has already scored 5 goals in the Serie A in only 235 minutes on the pitch. That's an average of a goal in every 47 minutes for the 19-year old rising star and he definitely looks hungry for more in what's left in the season. Massimiliano Allegri, who still couldn't count with Cristiano Ronaldo this weekeend, showed that his priority is set on the game against Ajax next Wednesday and rotated several important players. Giorgio Chiellini, João Cancelo, Matuidi and Pjanic started on the bench for example and only the Bosnian would come in later in the second half. The match was very intense right from the start, with the visitors getting very close to break the deadlock in the first minutes when Piatek saw his header going wide just a few inches. The Vecchia Signora tried to respond but Milan proved to be stronger throughout the first half and deservingly reached the advantage near the 39th minute, when a bad pass from Bonucci gave the ball away to Bakayoko in a very dangerous area. The Rossoneri midfielder was quick to leave it to Piatek, who then didn't miss his 1-on-1 scoring chance against Szczesny. The hosts were close to get the equalizer still before the break, but Mandzukic saw his goal being denied by a great save from Reina. Nevertheless, the Italian champions would get their goal in the second half and it came from the penalty spot. 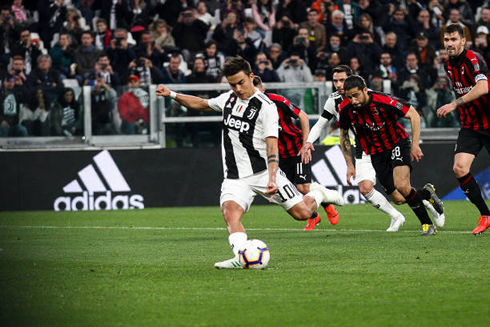 Paulo Dybala got fouled inside AC Milan's box and without Cristiano Ronaldo on the pitch, the Argentine ace stepped up to take the penatly himself and he wouldn't miss it. 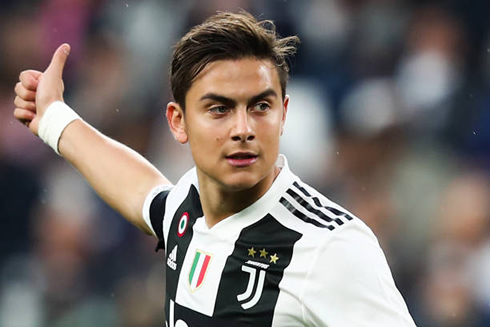 Dybala's goal seems to have woken up the Bianconeri and two of the players Allegri had decided to sub in during the second half basically orchestrated the winning goal in the 84th minute. Pjanic stole the ball inside AC Milan's own half and assisted Moise Kean for another clean finish from the 19-year old Italian. The new wonderboy from Juve doesn't seem to get affected by the pressure and with a strong and well-placed strike he scored the 2-1 that gave his team the 3 points. Cristiano Ronaldo next game for Juventus is for the UEFA Champions League on April 10 of 2019, against Ajax. You can watch Ajax vs Juventus, Sampdoria vs AS Roma, Barcelona vs Atletico Madrid, Watford vs Wolverhampton, Everton vs Arsenal, and Borussia Monchengladbach vs Werder Bremen, all matches provided from our soccer and football game pages.